Whether you're looking for fine dining in Pennsylvania or an affordable cheesesteak stand in Philly, we've listed all types of places to eat in PA. We are your definitive source for PA dining! Search for all types of restaurants in PA, from Italian to Chinese to Ethiopian restaurants. Take advantage of the most delicious PA dining by stopping by one of these restaurants in Pennsylvania. 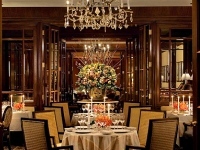 See our extensive list of restaurants in PA. PA restaurant guide.